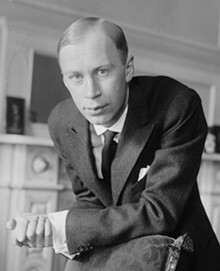 Sergei Prokofiev composed music for every format you can think of. Operas, symphonies, ballets, concertos and solo piano pieces, he did it all. So far-ranging were his interests that he even branched out into film scoring, teaming up with fellow Russian genius Sergei Eisenstein for the latter's epic film Alexander Nevsky. The movie chronicles the national legend who saved the motherland from a horde of invading Teutonic Knights of the Holy Roman Empire; the highlight is a terrifying battle fought on a frozen lake. Prokofiev's score is so good that he condensed some of the most thrilling moments into a 40-minute long cantata, which includes the music for the climactic Battle on the Ice. Conductor Stéphane Denève leads the St. Louis Symphony through a program of Prokofiev's greatest hits, including his Piano Concerto No. 2, the Alexander Nevsky cantata and Denève's own suite arranged from Prokofiev's ballet Cinderella. Performances are at 8 p.m. Friday and Saturday (February 15 and 16) at Powell Hall (718 North Grand Boulevard; www.slso.org), and tickets are $25 to $83.